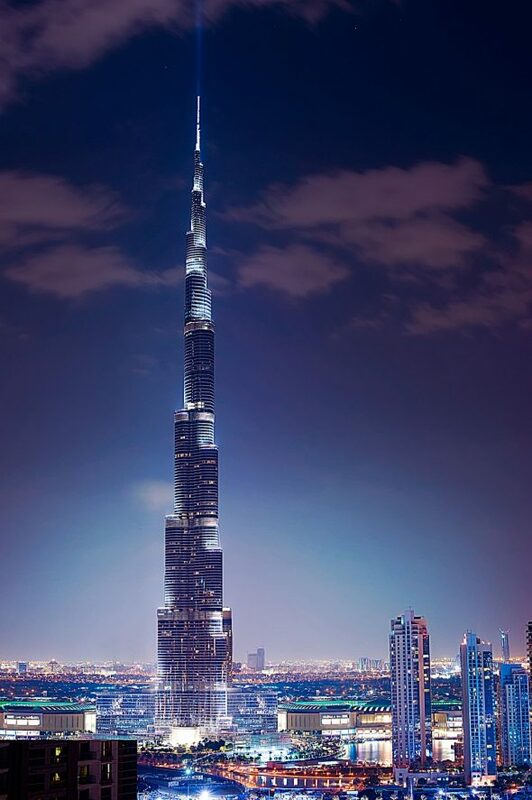 Not only is the Burj Khalifa the tallest building in the world, but it is almost 1,000 feet taller than its closest competition. To get up and down, it also houses the fastest elevator in the world. Whether you go up to the observation deck, or observe from the ground, this one is impossible to miss.